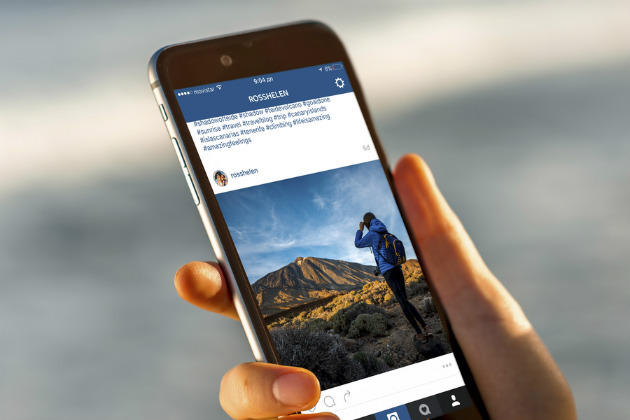 In the fall of 2015, Instagram allowed businesses of all sizes anywhere in the world to create ad campaigns. Since then, Instagram has grown and grown, gaining more than 600 million new users in 2016 alone. With more users came an influx of advertisers. Now, not even two years since the feature launched, there are more than 1 million monthly active advertisers on the platform. To mark the occasion, Instagram released its top three tips for creating successful Instagram ad campaigns that can grow your business. Learn how to bring them to life below. 1. "The community rallies around passions." Instagram has said time and time again that "people come to Instagram to follow their passions." That extends to brands, too, which is why an impressive 80 percent of users follow brands. Putting a face to your brand. Show, don't tell people why you and your team are truly passionate about what you do. Grab a camera, and wear your heart on your sleeve. Creating content that centers on your product in action. Product shots don't perform well in Instagram ads. Instead, opt for images that bring your product to life and show users the power of your products. When Instagram first started, it was truly a visual platform — filled with images that were rarely captioned. Even now, your Instagram photo or video should be able to tell the majority of your story. The caption should be complementary. Writing short captions. Once you go beyond 140 characters, users have to hit "see more" to reveal the rest of the content. Keep their full attention by keeping your caption short. Create snack-sized content. Videos created using Timelapse or Boomerang are brief, easy-to-create and irresistible to watch. Do more with tools like those. Or experiment with Instagram Story ads. Posting hashtags in a comment. Adding more than one or two hashtags to your Instagram caption makes the post look messy and overloaded. Instead, post those hashtags in a comment. Like any good ad campaign or piece of brand marketing, the call to action (CTA) is the pièce de résistance. And those Instagram CTAs have been proven effective. Within the last month, more than 120 million Instagram users have clicked on those buttons to visit a website, get direction, call, email or send a direct message to businesses. Including a CTA on the image itself. Remember, your image should be able to tell your users everything you need to know. Test overlaying or integrating text onto your images themselves. Updating your contact info on your profile. Visit your profile, and make sure you offer users as many ways to contact of you as you can. Then, ensure that information is accurate. Users do click on those buttons — and often.